Editor’s Note: This post was originally published in August 2017. While much of the information about internal and external links remain relevant, it was time to update for current best practices, as well as to reflect a few changes in the Verblio (formerly BlogMutt) platform. Even if you’re brand new to SEO-optimizing your blog posts, you’ve probably heard that it’s good to include links in your posts. While it’s definitely true that high quality links can make your post more authoritative and useful to your readers and help give your search engine results a rankings boost at the same time, there is more to it than just linking to whatever posts seem relevant. One of the main details to keep in mind is that there is a big difference between internal and external links, and they serve different purposes for your content strategy. Both are important and useful, both to your readers and to helping you get those search engine results you need, but they are useful for very different reasons. Using both internal and external links in a thoughtful way can be a real boon to your SEO strategy, as long as you follow a few essential best practices. Now let’s break it down in detail. What are Internal and External Links, Exactly? Including links in your blog posts is important for the same reason that you used to cite your sources in a bibliography when you’ve written school papers: they show that your content is credible, as well as built on knowledge and research beyond your own life experience or common sense. Links also provide a more in-depth experience for your readers, leading to complementary or related information that doesn’t duplicate the information in your blog post but instead adds additional layers of meaning and context. Incorporating links in a smart, deliberate way underlines the credibility of your blog and can improve your reputation for thought leadership. So what is external linking? In short, anytime you link to a site outside of your own web domain, this is an external link. Other examples of external links include linking to an article or study you reference in your blog post, or to a service that you are reviewing. If you reference a specific product or service, it’s a good idea to link to them. The point is to be helpful to your reader while also being authoritative. If you write a post about upcoming events in your area, your reader might be annoyed if they have to Google to find out how to buy tickets, when you could have easily linked to the ticket page within the post. Internal links are links within a post that lead the reader somewhere else on your own, same website. For example, you may link to another post on your blog, or to your “Services,” “Contact,” or “About Us” page. The deeper within your website the internal link resides, the more valuable it is to add since the reader would be unlikely to find it on their own otherwise. What are the benefits (and possible drawbacks) of each type? Both external and internal links offer unique benefits for your content marketing strategy, as well as potential drawbacks if not used in a thoughtful way. Linking to authoritative (i.e. high quality and well trusted sites) external sites increases your digital footprint and, as SEO expert Rand Fishkin says, ups “the potential to attract important, relevant, valuable eyeballs when we link.” You are essentially building a history of links between your site and more established ones. Linking to external sites can build relationships and expand your reach. For example, if you are a siding company and you link to a trusted home improvement advice blog in a post, their SEO manager may notice the new influx of traffic from your site. While this doesn’t always happen, when it does it can lead to that company reaching out to you, perhaps linking to your site when appropriate, or otherwise beginning a mutually beneficial connection. Your willingness to include valuable external links demonstrates that you care about your readers. Instead of wanting to greedily hold onto every second of their attention, you provide them with the resources they really want and need to fully explore the topic, and generously include external links to accomplish this. One potential drawback of external links: the need to occasionally check to ensure all links are still up-to-date and active. There is also the possibility that if you use links in an unnatural way, such as anchoring links to irrelevant, unrelated keywords, your use of links may hurt your SEO more than it helps. Luckily, this can be prevented by following a few simple best practices, which we’ll cover shortly. Another potential drawback we hear a lot is concern over losing your reader’s attention to the site you’re linking to. The key here is to limit your external links and set them to the setting “open in a new tab” in your blogging platform so that clicking on a link doesn’t take someone away from your site entirely. Also, of course, keeping your own blog content so enticing that no one wants to abandon it for an external link. 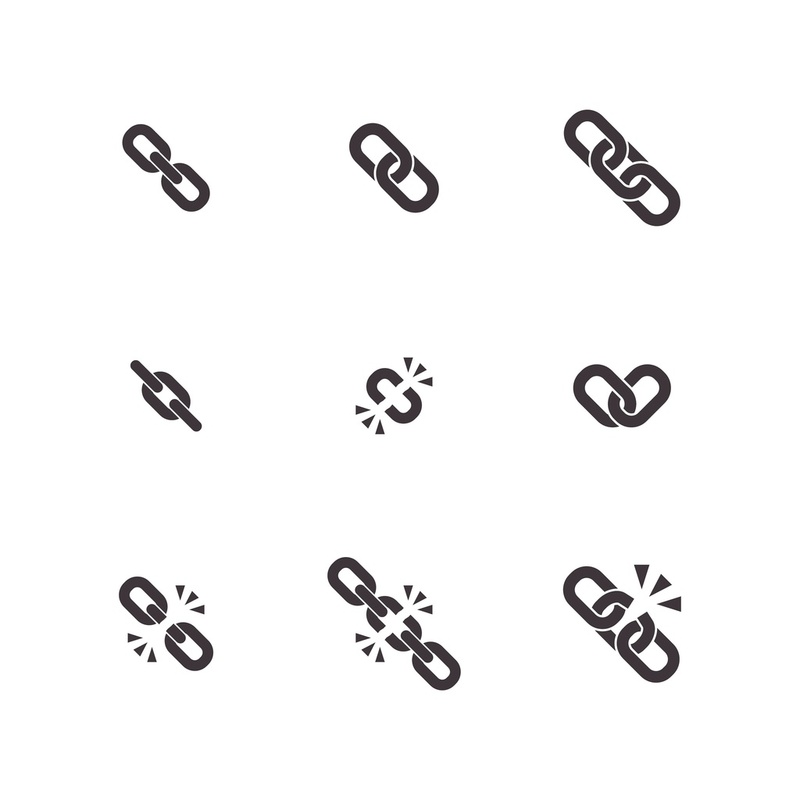 Internal linking makes your site way more useful and user-friendly. Instead of having to search through your blog archives or heading to the main website menu to find the link they need, it’s already there in your content, right in the spot and moment where it’s most relevant for the reader. With plenty of well thought-out internal links, your site is easy to navigate and helpful, making website visitors more likely to come back, navigate your site easily, and engage more actively (and positively!) with your brand. Internal links also boost your SEO. When outside sites link to your site in an organic way, Google sees your site as more valuable and makes sure it appears higher in search results. While not quite as powerful, judicious use of internal links can have a similar effect. This is simply a helpfulness measure for search engines. Internal links lead to people spending more time on your site and decreasing your bounce rate. The more time your readers spend reading old blog posts, learning new information, and becoming more familiar with your brand, the better. Drawbacks of internal linking include the fact that they take time to do well, since what internal links really do are create a meaningful, logical, easy-to-follow internal architecture for your entire site. Like external links, if your internal links don’t make much sense in context, or don’t provide real value to your visitors, you may be seen as less trustworthy and more spammy. How Many Links Should I Include, Anyway? Citing a study or quoting an expert? Absolutely include a link. Mention a general concept like “content marketing” or “e-commerce?” There is no need to include an external link to someone else’s blog post defining these basic concepts. This only encourages readers to click away from your blog without actually providing them with needed value. While there are exceptions, a good rule of thumb is to aim to include no more than 2-5 external links per longer blog post. If you find yourself needing to link to tons of outside sources in every post, consider whether it would be better if you simply explained those concepts yourself instead of directing traffic elsewhere. Be generous but deliberate with internal links. Including a handful of internal links in each blog post can be helpful for your reader and great for SEO, but only if you do so in a thoughtful way. Internal links help SEO by distributing search engine ranking power throughout a website. So, instead of only your homepage being recognized by Google, various blog posts, links to services, and other components of your website will also show up in search engine results thanks to your thoughtful use of internal linking. Internal links also provide value to readers, helping to effortlessly guide them through your site on their quest for relevant and complementary information. Unfortunately, when internal linking is done in a clunky and thoughtless manner, it has the opposite effect. Customers and blog readers get annoyed if every other word is hyperlinked and those links take them to parts of your website they’re not interested in. As long as you’re deliberate and thoughtful in which internal pages you link to, it’s typically okay to include several links per blog post. When I polish and optimize blog posts for my Verblio Complete clients, I usually aim for around 4 internal links for a short, 600-word blog post. I try to do this in a natural way, linking to relevant blog posts, products, and services I think the reader will be genuinely curious about, right at the point in reading when they will be most interested. What are Some Other Best Practices for Linking? Periodically (once a quarter or so), spend a couple hours checking your links to update any broken ones you find to new links that are active and relevant. When a website visitor finds broken links, their experience diminishes in quality (usually exponentially) and they get the impression that the information on your site is less trustworthy or outdated. Plus, a broken link is a missed opportunity to link to a worthwhile, interesting source instead. Even if a link still works, it’s wise to double check that the information is still valid and timely. In industries that experience frequent change (like digital marketing or anything tech), replacing old links with new, fresh links is usually wise. Provide the best user (/reader) experience possible. Create a site that is easy to navigate and a pleasure to read. Incorporate links in a way that makes using your website easier, instead of cramming as many keywords and links as possible into every blog post. Readers get turned off when they feel like they’re just being used as part of your SEO strategy. Using links to boost your SEO is smart, but it should also be done in a subtle, mindful, and deliberate way. Be sure to link to sites that are authoritative and trustworthy. If you link to sites that are unprofessional, sensationalistic, or considered simple clickbait, you undermine your own credibility and probably hurt your search engine results too. Once Google associates your site with a less savory one, it’s hard to undo. Incredibly hard to undo. Anchor text simply means the words in your text that are hyperlinked. Sometimes bloggers tend to overthink this, but a straightforward approach is usually best. Let’s say I wrote a sentence like “Outsourcing your blogging can help save time and resources,” and this made me think of a previous blog post called “5 Ways Small Business Owners Can Save More Time”. I would simply link the blog post to the words “save time” because that is the most obvious and natural anchor text in the sentence. If your anchor text is not relevant to the page you’re linking to, or seems shoe-horned into your sentence in an awkward way, readers will soon learn not to trust your links and begin to associate anchor text with spam. While internal linking is a powerful tool, it’s better to avoid a link than to be annoying about it. A simple, common-sense best practice is to do a last read-over of your post as though you are a blog reader coming to your site for the first time. Do the links seem helpful and natural? Or obnoxious and overdone? How do I implement these link types into my Verblio content? Advanced SEO Options is your answer. If you’d like to start including more links in your Verblio posts, you have a few options of how to best express these needs in the Verblio system. Your best bet is to focus on adding links when creating new blog requests. When adding a new active request, simply click on “Add SEO Requirements.” From here, you can add your SEO keywords, specific pages you’d like to link to (such as your Services page, an external link to a relevant study, or a related blog post), and even the exact anchor text you’d like the writer to use. Want the same internal link included in every blog post, for example having the writers add your “Contact us” link at the end of each post? Instead of adding this detail every time you write a topic description, you can include this in your general business info preferences. The best place to add this type of ongoing preference is the “Additional info for writers” field. If you choose to do this, just be sure to update this from time to time to include fresh new links (maybe in consort with your periodic broken check). Another option is to let our writers provide you with great content, and then add a few to each post yourself before publishing. Another small detail that’s worth mentioning: if there are sites you’d specifically like to avoid linking to (such as a competitor’s website), please mention that in your “Additional info for writers” section as well. The simple fact is that the more information your content writer has, the better he or she will be able to match their writing to your SEO goals. ← Marketing & Advertising Sample Post: Is Your Content Voice Off-Key?